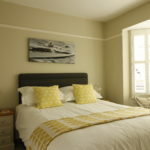 A large comfortable room with king size bed enjoying East facing sea views from the bay window. 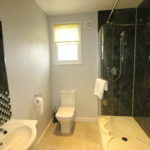 An adjacent private bathroom with an extra large shower is available for your sole use. 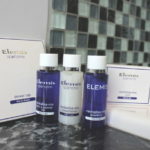 Cotton Bathrobes and Elemis Spa luxury toiletries are provided for your convenience. 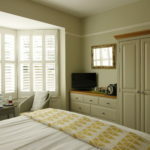 The elegant decor in soft tones, with contrasting yellows, creates a light and sunny room. 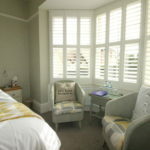 Egyptian cotton linen, anti-allergy duvet and pillows and super soft cotton towels all add to the luxury. A hair dryer is supplied for your convenience. 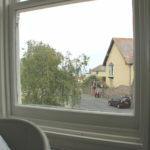 Lloyd Loom chairs and table in the bay window are provided for you to sit, relax and enjoy the view. 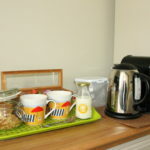 Fresh milk, bottled water and homemade treats complement the coffee and tea facilities. 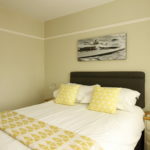 Quoted Rates are per room with double occupancy on a per night basis and include Breakfast. 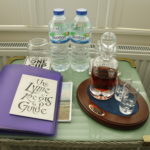 Minimum stay is two nights (three nights over Bank Holidays). Adults only.